CLEAN CAR FAX! 0-ACCIDENTS! We have a sharp 2015 Toyota Camry SE with alloy wheels ready for its new home. 58K Miles with the remainder of its factory warranty included with purchase. Our Camry has a beautiful jet black exterior, with an all black leather and cloth interior, with options including auto lights, cruise control, steering wheel mounted controls, paddle shiftier, key-less entry, BT hands free, AUX & USB inputs, back up camera, power windows, locks, mirrors, and drivers seat. 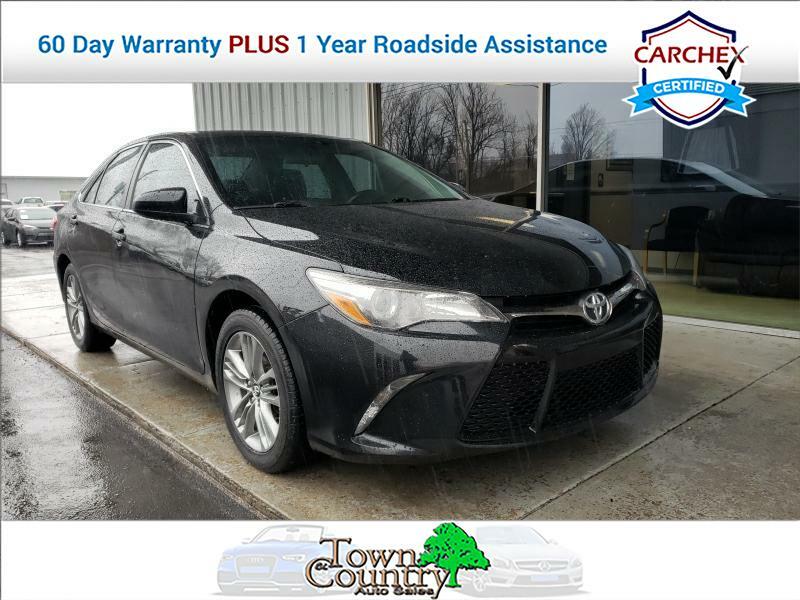 This is a gorgeous sedan that will make a great investment opportunity for you, So give one of our sales professionals a call today for more info and to learn more about our financing options. We know there are many different credit situations that arise and we have plenty of banks that are offering to help you with your finance options so you can drive away today. Better hurry!! This one won't last long. We have been Proudly serving Central Ky. for over 17 years and have over 350 Vehicles in inventory. So come and join our family! PRE-OWNED***With the Balance of the Factory Warranty included With The Purchase Of This Vehicle.